The leave to appeal application seeking permission for an appeal on behalf of Bodu Bala Sena (BBS) General Secretary Ven. Galagoda Atte Gnanasara Thera was yesterday fixed for Friday, August 31, by the Court of Appeal. On August 8, Ven. Gnanasara Thera was sentenced to 19 years’ rigorous imprisonment, to be served concurrently within six years, by the Court of Appeal, over his contemptuous behaviour inside the Homagama Magistrate’s Court on January 25, 2016. When the matter taken up before Court of Appeal (President) Justice Preethi Padman Surasena and Justice Arjuna Obeysekara, President’s Counsel Rienzie Arsekularatne appearing on behalf of Ven. Gnanasara Thera, informed court that he expects to raise three questions of law in support of the leave to appeal application. However, the defence counsel informed that he was unable to bring a copy of his application owing to technical failure of his computer and undertook to file it in court through a motion. Meanwhile, senior Deputy Solicitor General Rohantha Abeysuriya appearing for the Attorney General, informed court that he will respond to this application by way of objections, depending on the defence application. Accordingly, this leave to appeal application was fixed for Friday (31) in accordance with rule no.22 of the Court of Appeal. Ven. Gnanasara Thera was sentenced to four years’ rigorous imprisonment in respect of the first count. Another four years’ rigorous imprisonment was imposed regarding the second count. Six-year and five-year rigorous imprisonments were also imposed in respect of the third and fourth counts, respectively. While handing out a 56-page judgement, Court of Appeal Justice (President) Surasena and Justice Shiran Goonaratne had observed that the ingredients of all four charges framed against the accused have been proved beyond reasonable doubt. On a previous occasion, Ven. 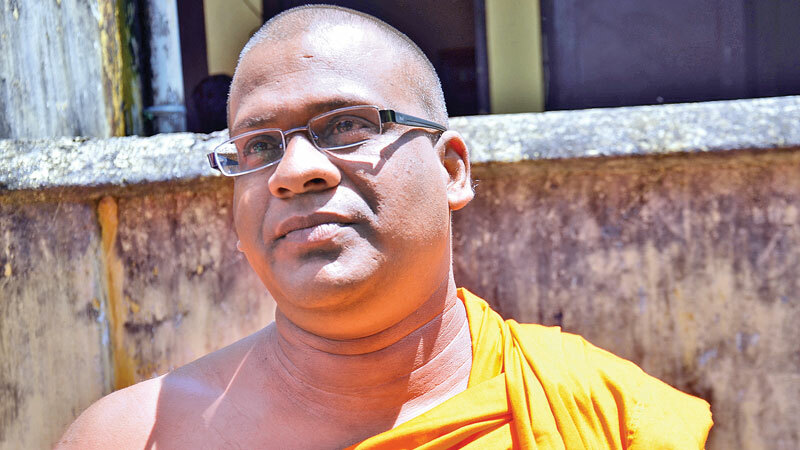 Gnanasara Thera had been sentenced to six-months’ rigorous imprisonment after he was found guilty of threatening and intimidating Sandhya Eknaligoda, the wife of missing journalist Prageeth Eknaligoda. President’s Counsel Rienzie Arsekularatne with counsel Udara Muhamdiramge and Thejitha Koralage appeared for Ven. Gnanasara Thera.